The World Tree is central to my path. The spiral is the World Tree from another perspective. I dream of a world tree. So this really makes me feel. The visual is nearly perfect. On this day, remember to thank the World. Remember you are surrounded by living things. Remember life is what you make of it. 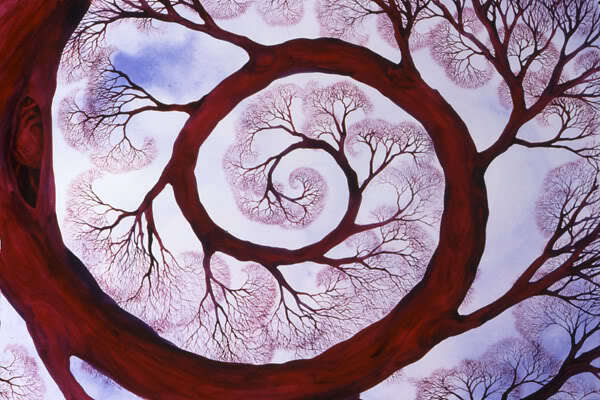 This picture is another web search, probably something like "spiral trees." May your Path be Blessed.